Our address and logo stamps finally arrived a bit more than a week ago and we couldn't be happier with them. For just a bit more than 50€ we now have business cards forever (or at least until we move). 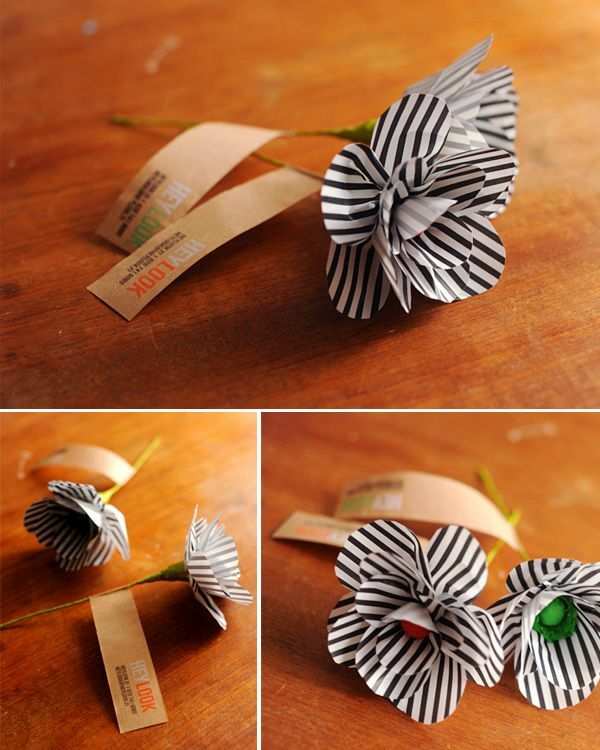 Until now we've made confetti filled wrapping paper business card envelopes and various paper flowers. It's a lot of work, sure, but we love to craft. And when we hand out our cards, we don't wanna just give people our number and email address, but also a little bit of Hey Look's personality. oh wow wow wow... they look amazing!!!! 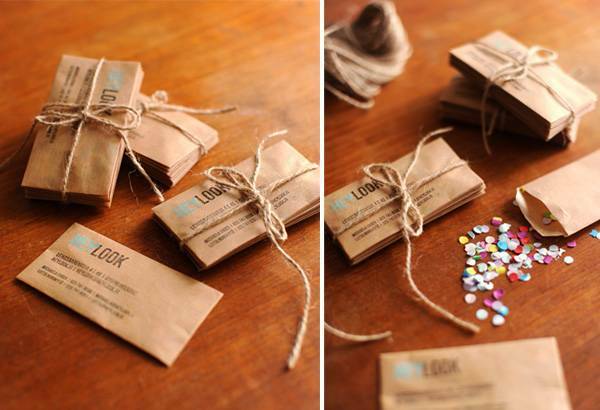 Business cards with confetti.... how genius is that???? WOW!!!! These business cards are gorgeous. I love the little touches - especially the confetti. I am so in loooveeeeeeeeeee with these!!!! To me they are just perfect! And you inspire me so much! I am in the begining of everything and this inspires me to go further an to believe in myself! 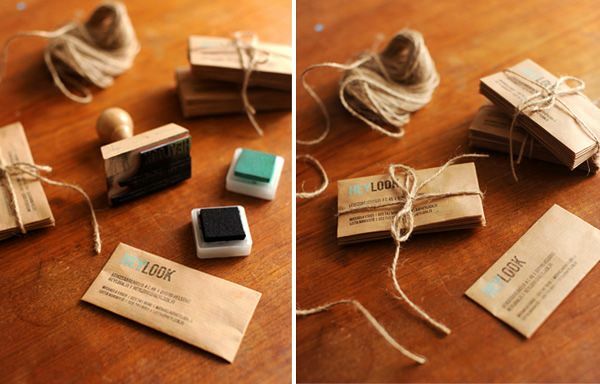 Love the idea of using a stamp! Where did you order yours from? 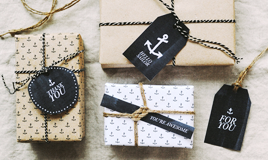 Obviously this is amazing blog! You are too smart person to deal with this kind of issues! In reality your creative writing abilities have intensified me to get my own blog nowadays. I am extremely keen of learning informative things, and this is the place which has fulfilled my requirements! Major brands in the world can spend a lot of money just to create a logo, a unique logo for their own. The logo is a symbol not only of the company but also the most succinct what customers want to remember.! Hola Launcher delivers a smooth, beautiful, and easy-to-use hola launcher . Welcome to paradise bay, the ultimate escape for travelers, explorers, and dreamers.Play red ball 4 games - Red Ball game online for free. What makes a great cooking is the chance to offer the best choice of foods – and you get it from cooking fever. Play right now to connect with thousand friends all around the worlds. Play now! Good lucky! Using Instagram direct you can send photos, videos and can message from your feed directly to your Instagram friends. I like your all post. You have done really good work. I like play game: Banana Kong |banana kong game | bananakong | kong game |banana kong download | unblocked games | Score Hero | Score Hero game | Score Hero android | Diep.io | Diepio | Diep io | Retrica | retrica camera | retrica download . What about you?